The Warwick Electric Bass Strings 5-String Set is a medium gauge pack of responsive and comfortable bass strings for 5 –string instruments. They possess a sparkling clean quality rich in deep tones and offer excellent resistance against corrosion. The package seems too tight or strings were inserted into it not neatly, thus, the set of strings was not packed well. The 2nd and the 3rd string were put in the wrong number of their individual envelopes (the 2nd instead of the 3rd and vice versa). Since I did not expect the strings be put in the wrong envelopes I set them in the wrong way on my bass. I will be still using Black Label because of their good sound but I will be more careful with their set up next time. Set de cordas durável de um som excelente! As cordas Warwick são habitualmente de boa qualidade, nesta gama já oferecem tudo o que podemos desejar, respondendo muito bem quer nas altas quer nas baixas frequências. 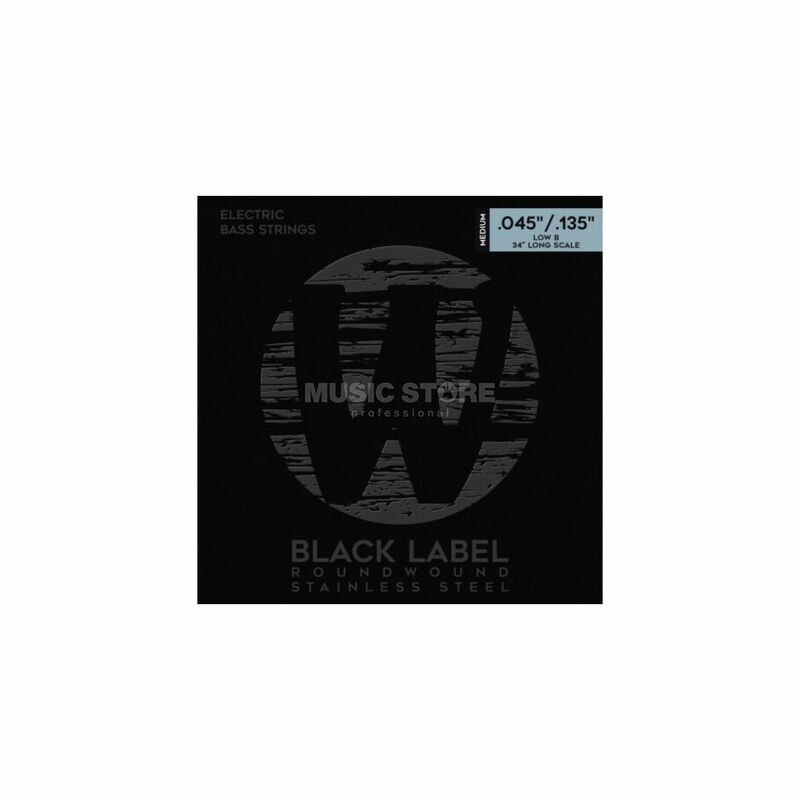 Warwick strings are generally good, at this range the sound quality is simply excellent, with both bright crispy frequencies and warm vibrating low tones very superior to the cheaper stainless steel range. Also very durable compared warwick`s nickelwound strings, that sound great but even cleaning frequently deteriorate quickly. It`s worth every penny. 5 stars!! !